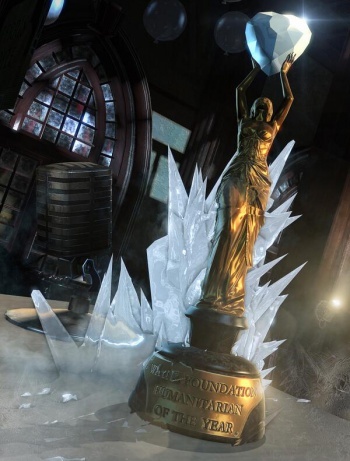 Save the date - Gotham's finest will be ringing in the new year with a new Batman: Arkham Origins DLC. Check your mailbox: everyone who's anyone in Gotham City has just been invited to the fanciest party in town. The Batman Arkham Facebook page and Twitter are posting these swanky invites, as a hint towards a new piece of DLC for Batman: Arkham Origins. The invitation itself doesn't say much, but of course it doesn't - the big reveal will probably happen at the main event. So far, the DLC for Origins has been pretty unremarkable. The Season Pass includes some extra costumes and the Initiation pack released earlier this month, which contained a few challenge maps, but little story. There's one piece of DLC reserved for a new story campaign, and this could be it. But riddle me this - whose story will it tell? 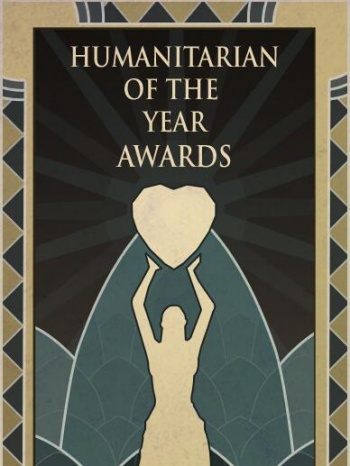 One clue that a few Bat-fans have noticed is the topic of the invitation: a ceremony for some kind of humanitarian award. You may recall that, in the animated series, GothCorp CEO Ferris Boyle was being presented with a humanitarian award when the party was interrupted by Mr. Freeze in his debut appearance. Since we haven't yet seen his origins in the Arkham-verse, he could make for a cool DLC villain. According to the invitation, the gala takes place this very night. We will of course be in attendance, and we'll let you know if anything happens. Update:: A chilling turn of events! Someone was able to snap the picture below, just after an unknown guest broke the ice. Be on the lookout for the man known as Mr. Freeze!